Welcome to the world of Arabian horses. Whether you are a newcomer, or have been involved with horses for a while, have horses for pleasure, show, or breeding, Vallejo III, Inc. can design a program for you and your horses. We specialize in promoting and marketing the Arabian show and/or breeding horse, and welcome the opportunity to work with dedicated amateur riders. 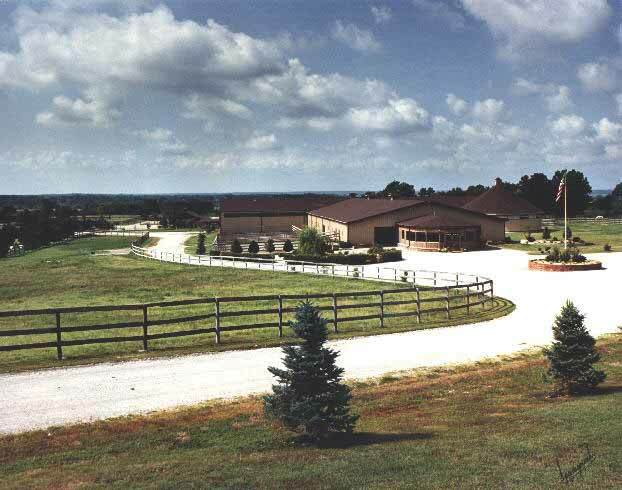 It is policy here at Vallejo III to keep in constant communication with our customers, so that they are involved with the progress of their horses each step of the way. We have several different means of doing this. To keep customers involved even if they live far away, we send updated work videos. With today's technology we are able to update our customers in real time. This allows everyone to feel like they are aware of what is going on, on a regular basis. We invite our customers to call any time they have a question or want to know how their horse is doing. We are also more than glad to have our customers visit us and spend as much time as they like to see how our program works, and how their horse is progressing. We are located in a lovely resort area of Oklahoma, just off the shore of the Grand Lake of the Cherokees, and many times a visit here can be combined with a short vacation. As well as our phenomenal success in the show ring, Vallejo III is experiencing a great deal of interest as a marketing outlet for the better Arabian horse, whether it be a show or breeding horse. The demand for quality individuals is quite high, and the desire for success strong. With this in mind, we continue to enhance our facility, staff, and means of customer service. We maintain a full service facility, providing training, breeding, conditioning, transportation, sales, consultation, and evaluation backed by over 40+ years in the Arabian Industry, and a reputation for excellence in the show ring and breeder's circles. We appreciate your interest in Vallejo III, and would be happy to talk with you concerning your needs and how we may best serve you and your horses. Please feel free to write, call or e-mail us at your convenience, or stop by our stalls at the shows and visit with us. You will see first hand the quality that is Vallejo III, Inc.